TOLEDO, OH (May 11, 2017) - Unbeaten lightweight world champion Robert Easter (19-0, 14 KOs) will defend his title in his hometown when he takes on mandatory challenger Denis Shafikov (38-2-1, 20 KOs) in the main event of Premier Boxing Champions on Bounce live from the Huntington Center in Toledo, Ohio on Friday, June 30. Televised coverage begins at 9 p.m. ET/6 p.m. PT and will be headlined by the hometown star Easter, who last defended his title in the same venue and on Bounce by knocking down Luis Cruz three times on his way to a unanimous decision. 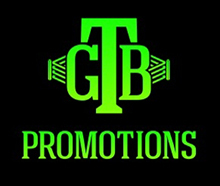 Tickets for the live event, which is promoted by About Billions Promotions in association with Warriors Boxing, are priced at $225 $125, $100, $75, $55 and $35, and are on sale now. Tickets can be purchased online by visiting www.ticketmaster.com, or by calling 1-800-745-3000. An accomplished amateur who was a 2012 U.S. Olympic alternate, the 26-year-old Easter picked up five-straight victories dating back to the beginning of 2015 before earning his world title opportunity against Richard Commey in September 2016. Easter was successful in holding off the unbeaten Commey as he was able to earn a split-decision victory in a memorable fight. Now, Easter will step into the ring as the fighting pride of his hometown for the second time, looking to dispatch arguably his toughest opponent to date. A 31-year-old brawler from Russia, Shafikov brings an exciting style to the ring as he prepares to capitalize on his third world title opportunity. A pro since 2003, Shafikov was unbeaten in his first 34 pro contests and has challenged Rances Barthelemy and Miguel Vazquez in his previous title fights that both went to decisions. Shafikov impressed in his two outings last year, first earning a stoppage victory over then unbeaten Jamel Herring in July before earning this title fight by beating Richard Commey in December.